Any business that works in logistics knows of the supply chain transformation that technology has caused. 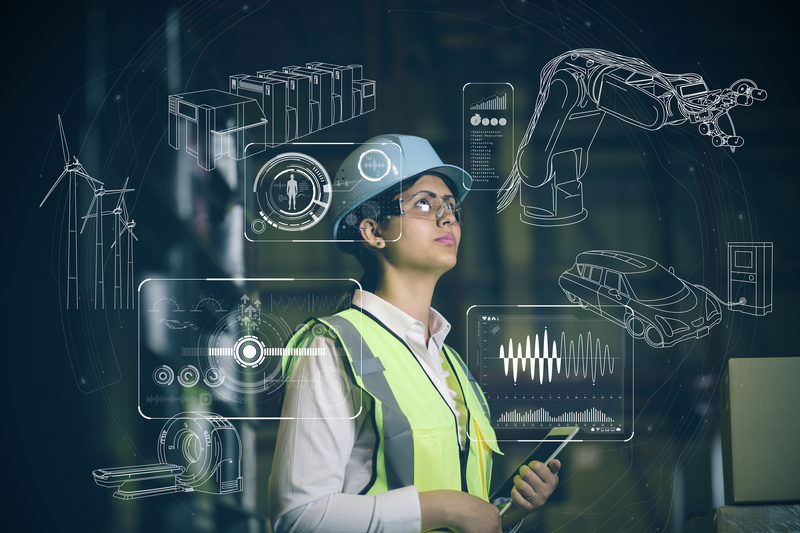 Technology provides unparalleled access to information about what makes supply chains run efficiently, and how optimization and automation can give suppliers a competitive edge in their industries. This incredible level of innovation has led to the creation of the digital supply chain, which is managed by automated system and web or cloud-based solutions. 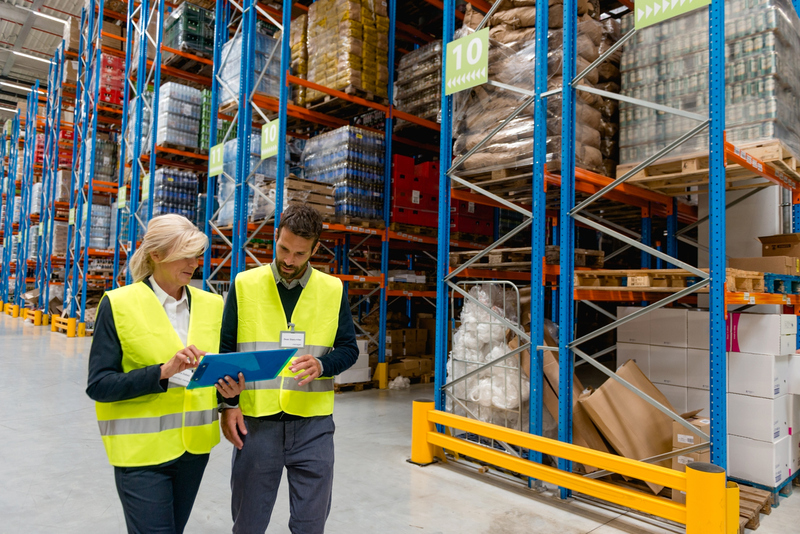 This new supply chain gives businesses the advantage of better collaboration with their suppliers, shippers, and other third-party resources for success. Here’s what you need to know about the evolution of digital supply chain management and how you can get started. A digital supply chain is built upon Internet-enabled capabilities that improve system integration, connectivity, and information management. Unlike the hybrid model, which uses a mix of paper and IT-enabled processes, digital supply chain management is strictly online. The goal of this system is to enable better insights into the supply chain to boost efficiency, do away with waste, and gain better profits. Companies that use the digital method can move resources, assets, people, and inventory where they need to be faster and make transportation proactive and reduce manufacturing risks. The digital supply chain can monitor data such as inventory levels, consumer interactions with products, carrier locations, and equipment in real-time. GPS tracking, radiofrequency identification (RFID), barcodes, smart labels, wireless sensor networks, and location-based data are all parts of this next-generation supply chain solution. The Internet of Things (IoT) has changed how companies can ship materials from the factory to the customer. Sensors are used along with a specific software to track shipments and their conditions at any point in time. This technology remedies problems such as delivery time, climate change, supply and demand, and more. As for artificial intelligence (AI), it can increase profits and productivity, streamline processes, and manage supply chains. Data comes in from every possible source, but big data needs to be analyzed to be understood and communicated. Various models of analytics provide valuable suggestions to vendors and manufacturers about how customers purchase products. The supply chain is therefore streamlined to avoid many supply chain conflicts. This distributed database holds records of digital data and makes them resistant to tampering. It secures the supply chain process by tracking a product at each point from manufacturing to the customer. As it tracks all the events in the chain, potential roadblocks can be checked and resolved quickly. Blockchain provides purchase process automation, improved customer engagement, streamlined operations, connectivity, security, transparency, auditability, and more. As manufacturing demands increase around the world, the need for better connection and communication increases. Technology has allowed businesses to connect with others around the world to reach scale and efficiency at a lower cost. Products are now developed for global markets and materials are sourced from global suppliers. This access and flexibility makes the supply chain smoother and works in favour of both the vendor and the consumer. Smart robotics can eliminate low hanging manual processes in distribution centres such as picking and packing. This technology can enable businesses to automate certain processes individually to reduce the complications that come with company-wide automaton. Individual areas of automation will improve warehouse management and lead to a more productive supply chain. Seeing and understanding the activities and events of your partners is one of the advantages of the digital supply chain. End-to-end visibility allows for optimization with multiple key partners. Cloud-based transportation management systems (TMS) allow vendors to connect with the systems of other companies within their transportation network. This allows both parties to see what factors affect the success of their deliveries, costs, and overall performance. This visibility allows companies like yours to create strategies that eliminate or reduce waste (money, resources, time, etc.) and create a system that is efficient. 3D printing is changing the supply chain industry. It works by printing materials or product pieces, layer by layer and combats situations like demand-supply mismatch. Originally, this technology was extremely expensive but the increased accessibility to hardware, software, and raw materials has driven down the cost. Today’s suppliers are now better able to use this technology to maintain their inventory and meet customers’ needs. A growing business cannot be properly managed on your own. Most companies who excel with the digital supply chain outsource their processes to a third-party provider while they continue working on sales and marketing. A 3PL provider can help you manage your operations so you can focus on making your business and brand more accessible to your online shoppers. They provide many, if not more, of the advantages above, so you save time and money and speed up your success and revenue. If you’re looking for the right company to partner with, Lean Supply Solutions is the answer. We rise to the challenge of meeting our clients’ needs through our services which include product fulfillment, warehousing and distribution, e-commerce fulfillment, warehouse pick and pack, and order fulfillment. Lean Supply Solutions can offer consistent, accurate, and quality results. To learn more about outsourcing to our 3PL distribution team or to ask any questions, contact us today.